in the last game before the All Star Break. This afternoon, Boston is in Houston for the rubber match of the three game series. Boston took game one in a decisive fashion, pounding out 12 hits in an 8-3 victory. Last night's game showed that the Boston bats could still get it done, as they combined for 13 hits. 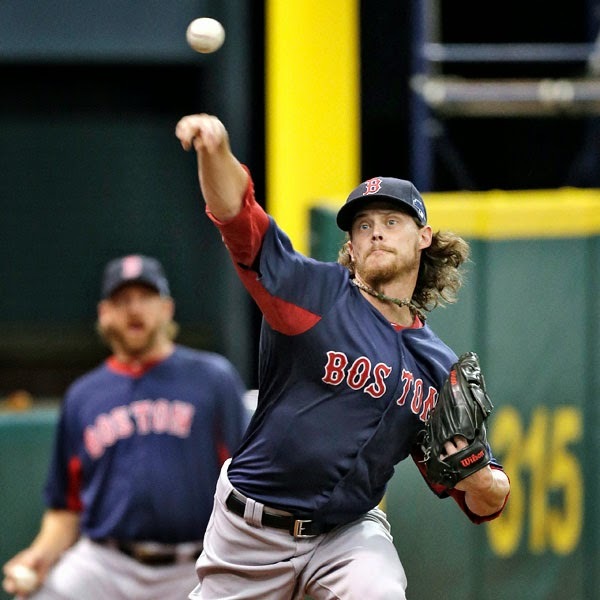 Unfortunately, they could only muster 2 runs in support of Jake Peavy, and the Sox lost 3-2. With the Sox 9.5 games back in the AL East, and tied for last place with Tampa Bay, a win tonight against the lowly Astros might keep them out of the basement as all MLB teams go into the All Star Break. Houston will send 3-5 Brad Peacock to the mound. He has a 4.30 ERA and has actually pitched well of late, recording quality starts in 7 of his last 8 games dating back to the end of May. Boston counters with Clay Buchholz, who, with a 6.10 ERA, is still trying to regain his form from last year, when he finished 12-1 with a 1.74 ERA. After taking the whole month on June off, Buchholz has pitched twice, giving up 5 runs in 13 innings. Boston is crossing their fingers and hoping to see a great pitching result from who they believe is their most talented pitcher. Rookie catcher Christian Vazquez will start, and hopefully the new battery will power the Red Sox to their 43rd win of the season. Will he put it together against a weak Houston lineup? First pitch is at 2:10pm at Minute Maid Park. Boston's starting lineup tonight features Brock Holt leading off, and Mike Napoli back in the cleanup spot. Xander Bogaerts and Jackie Bradley also will play, giving the Red Sox four rookies in this afternoon's lineup.